North West London hasn’t yet manage to pull in the Shoreditch ‘cool’ crowd and frankly we couldn’t be more smug about it. 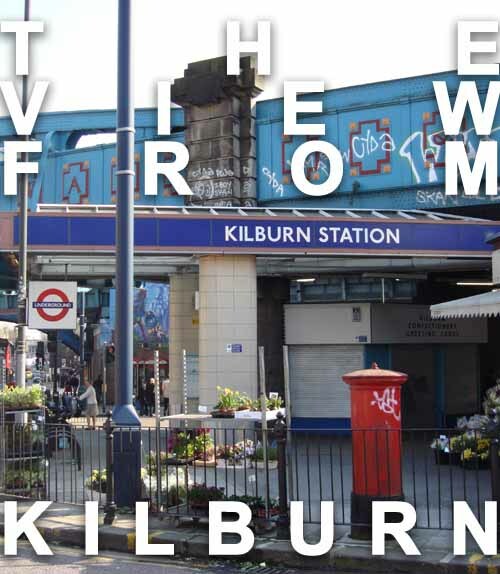 For the locals, like myself, Kilburn has that smelly old relative appeal, it really should wash more and there’s some food stuck on their face, but you love ‘em all the same. If you were to survive the altitude high up on the Jubilee line, Kilburn High Road has some of the most exciting venues in London. Dedicated to playing credible new acts alongside returning legends: we are of course talking about the Good Ship and the holy grail that is The Luminaire. The Good Ship is a music-orientated pub and club perfect for dipping your toe into the murky waters of new music. They have set up the bar just far away enough so you can easily nurse a pint without stretching your vocal chords to Steve Tyler levels to be heard. However if you want to get up close and into spitting territory, the stage allows you to get cozy and well acquainted with your favourite music-makers. Come the weekend, the ‘plub’ gets its sparkly leggings on, and the dance floor is heaving until 4am. Two minutes from the Good Ship’s doors lives its older, cooler brother, The Luminaire. Dark, brooding and mysterious, The Luminaire is a place for true-music lovers searching for rare intimate acoustic sessions with phenonmal sound. Co-owner Andy Inglis insists on a silenced room when the acts are playing, and in return provides the obliging audience with fair priced drinks, chummy staff and a precious experience. Warpaint, Horse Feathers, Aidan Moffat and the Editors are just a few of the acts to have graced the velvet lined room, and if you glance (quietly) around the room and you may see Jim Scalvunous, or Edwyn Collins amongst the bearded crowd. With 100 Club and the Flowerpot facing closure, its important to embrace and support natural, music-orientated venues before they face extinction. Otherwise, we could end up succumbing to watching Andrew Bird taking on a very noisy Koko, whistling so forcefully, he bursts a blood vessel. Posted on November 6, 2010 by Joe Sparrow. This entry was posted in Featured, Headline, The View From... and tagged the view from. Bookmark the permalink. I had heard such sad rumours. A shame it’s becoming reality. Will disgruntled gig-goers rally in (enforced) silent protest?